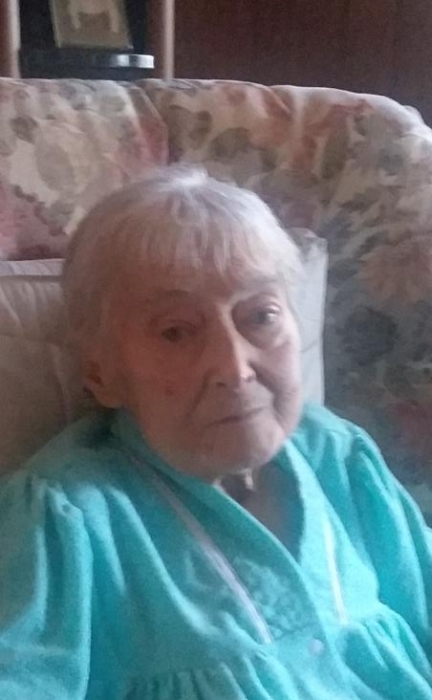 Delores E. Chovan, age 82 of Piqua, passed away Wednesday, February 13, 2019 at Hospice of Miami County. She was born March 20, 1936 in Hosmer, SD to the late Ludwig and Clara (Lacher) Schmidt. Delores is survived by her two sons, Andrew Imberi of Piqua and Matt Imberi of Georgia; two daughters, Carol Fenner of Minneapolis, MN and Donna Belanger of St. Cloud, MN; numerous grandchildren and great-grandchildren; and sister Maggie Carroll. Delores was a member of Hillside Catholic Church in Minneapolis and worked as a cook for Cedar Pines Nursing Home in Minneapolis for 20 years. She had spent over 25 years working at various nursing homes throughout the Minneapolis area. She loved to color and work on word search puzzles. She also leaves behind her very special dog Shelby or “Shiba” as she was affectionately known. Services will be held at a later date in Minneapolis with interment taking place in Hillside Cemetery.